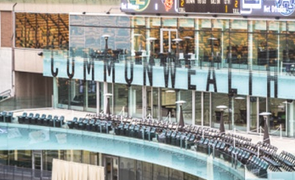 Business View Magazine interviews Jason Fesyk, Senior Operations Manager of Commonwealth Stadium as part of our focus on Canadian sports venues. Commonwealth Stadium is an open-air, multipurpose stadium located close to downtown Edmonton, Alberta, Canada. It was originally built to host the 1978 Commonwealth Games, an international, multi-sport event involving athletes from the British Commonwealth of Nations. “In the early ‘70s, a group of Edmonton sports enthusiasts banded together to bid to host the Games,” recounts Jason Fesyk, the stadium’s Senior Operations Manager. In order to be awarded the Games, a host city needed to provide a stadium capable of seating over 40,000 as well as a pledge to build or renovate a range of other necessary sports venues. The Edmonton group secured significant federal, provincial, and city support for the bid, and, at first, some thought was given to rebuilding Clarke Stadium, home of the Edmonton Eskimo Football Club of the West Division of the Canadian Football League since 1949. In the end, the Edmonton City Council voted to construct a brand new stadium, right next door, which would not only host the Games, but afterward, would become the new permanent home of the Edmonton Eskimos. When the venue officially opened in July 1978, it had a capacity for 42,000 and a natural grass turf, unlike most other major stadiums in Canada. Ahead of the 2001 World Championships in Athletics, featuring 1677 participants from 189 nations, the stadium received a $24-million facelift. Major investments included a new facade, an enlargement of the concourse, improved lighting, a new scoreboard, and an all-new, all-weather running track. Ahead of the 2008 season, the stadium underwent a reconfiguration, reducing its capacity to 59,537. Its natural grass was replaced with artificial turf in 2010, in order to reduce the long-term costs of annual grass substitution while providing a year round, green playing surface. Starting in 2009, the stadium underwent a $112-million facelift, with the main investment in the Field House, a 90,000.-sq.-ft., three-story training facility which includes a 65×65 yd. artificial turf training field, a fitness and weight room, locker rooms, and a running track. It is part of the Commonwealth Community Recreation Center, which also includes a 60,000-sq.-ft. aquatics center with a four-lane lap pool, water slide and a recreational pool; 30,000 sq. ft. of administrative offices; and a 30,000-sq.-ft. fitness center. The Center has Leadership in Energy and Environmental Design (LEED) Silver certification. Adjacent to Commonwealth Stadium, Clarke Stadium, seating 5,000, has been used as both a training field and as the home ground of the FC Edmonton, the city’s pro soccer franchise. 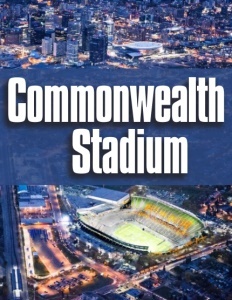 In 2012, the Commonwealth Stadium initiated a seating replacement program at a cost of $12 million. It removed all benches and replaced all seating with new, wider seats, reducing the capacity of the venue to 56,302. With the addition of the seating replacement, total investment in Commonwealth Stadium, since its inception, has exceeded $200 million. 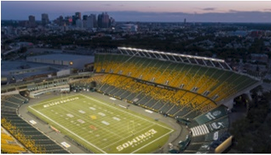 In 2016, the Edmonton Eskimos announced a five-year field naming rights partnership with The Brick, a Canadian retailer of furniture, mattresses, appliances, and home electronics, to name the field “The Brick Field at Commonwealth Stadium” during CFL events. “We also do a lot of community-based events, as well,” Fesyk continues. 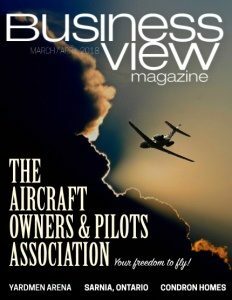 “And we help some of our charitable organizations. There’s a large event called ‘Feast on the Field’ that we do with the Capital Care Foundation. It’s a fundraiser for all the work they do.” The Capital Care Foundation supports the needs of over 1,400, mostly elderly residents at 10 Capital Care centers throughout Edmonton. The 2017 event at the stadium raised over $45,000.